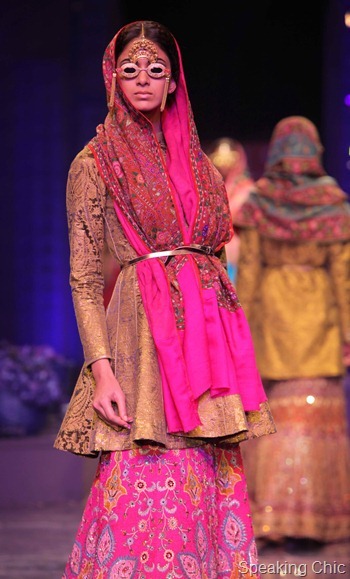 At Kotwara by Meera Ali, the models wore breeches, skirts and ivory shirts in wool, chiffon, bamberg crepe and suede. The look combined structure and flowing lines, which I adore. I want to be this woman! There were bright geeky glasses, printed shorts, skirts and dresses, along with funky motifs (exaggerated lips) at Niharika. You need to be very funky to carry off this look! Tanvi Kedia’s hippie-deluxe look is about non-conformist glamour with mish-mash of prints like sandwiched stripes, tapestry patterns and hazy geometrics. You can layer sheer fabrics in wintery colours like purple and dark blue with jackets, trousers and skirts this winter. 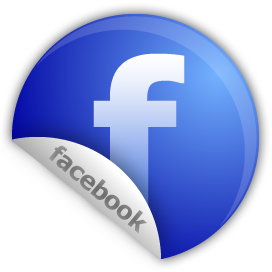 Raj Shroff showed us how. For those dreamt of dressing in a khaki uniform for work, Rehane has the right look for you—caps and all! Noise-cancelling headphones- check. Geeky glasses- check. Sequins- check. Feminine silhouette, manly shoes- check. 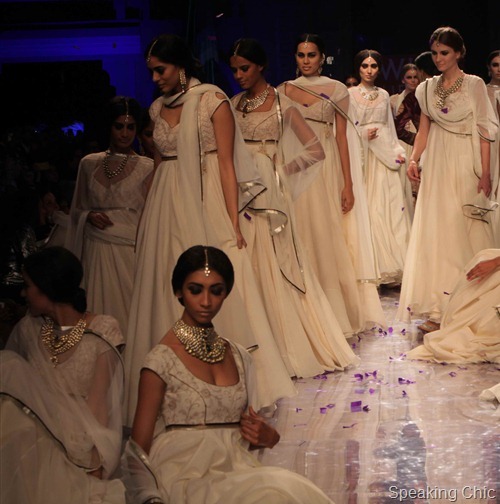 It was all happening at Schon by Sakshi Pradhan! If you liked Gwenyth Paltrow’s “cape” at yesterday’s Academy Awards, Tahera Peeran’s wraps are for you. Sling-bag with old-fashioned lock at Verb by Pallavi Singhee. 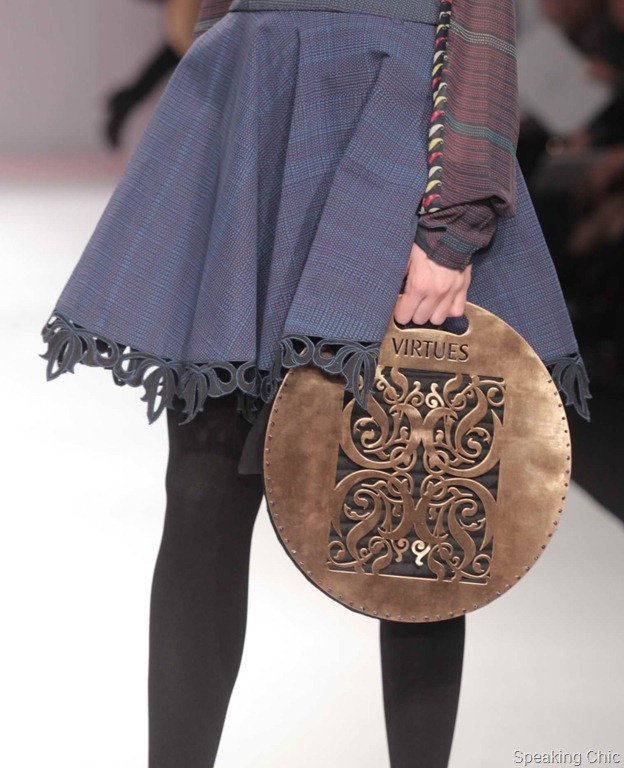 Carved bags at Virtues by Viral, Ashish and Vikrant. Uncut diamonds and polki jewellery at JJ Valaya. Abdul Halder’s strategically-placed birds made me cringe. Which woman would want to wear this? JJ Valaya ended WIFW A/W 2012 with a Turkish flourish. He used unusual art and craft based forms such as mother of pearl inlay, Turkish miniatures, Iznik Ceramics, weaves of the Sultan’s robes, exotic birds and graphic calligraphy in his jackets, dresses, breeches, shirts and blouses. Irfan Khan looking out of place at Kotwara by Meera Ali. Kangana Ranaut all pouty and serious at JJ Valaya. Marine life has served as inspiration to fashion designers since aeons, and Drashta Sarvaiya is among the most recent ones to have caught the bait (pun intended). 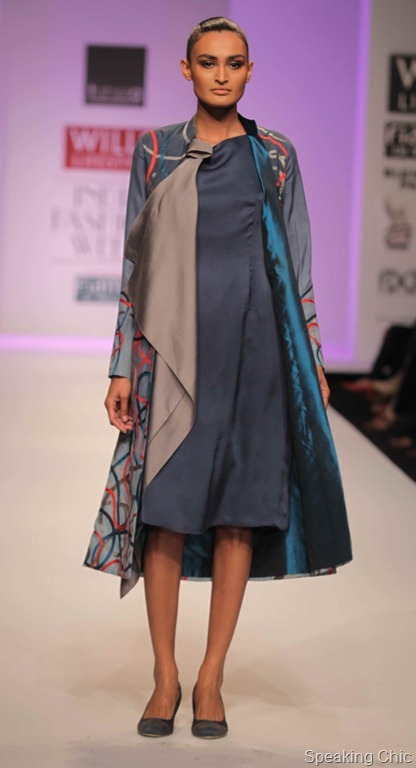 At her show at Lakme Fashion Week Winter/Festive 2011, Drashta’s focus on marine life reflected in the fluid silhouettes, shell cut-outs and motifs, marine prints and colours that reflect the ocean (think aqua and sea green). But that wasn’t all. 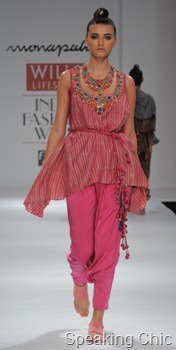 Drashta also played with colours and detailing as she introduced pastels (mauve, pink) and neons (electric, fuchsia) on one-shoulder short and halter neck dresses with touches like capes and crystals. The most interesting bit of her collection was the expert ruching along with the quirky accessories placed on the waist and neck. The accessories were handmade pieces created from pearl finish and hot neon leather, and coral shell and fish cut-outs. Cute! 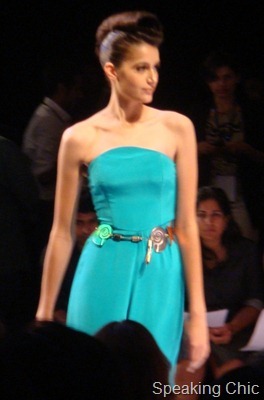 Rehane, the designer known for her baby doll and cocktail dresses, dared to step out of her comfort zone at Lakme Fashion Week Winter/Festive 2011 with a new concept. This all-white collection was created with raw mulmul and kora fabrics and left unfinished with notes to tailors for alterations. 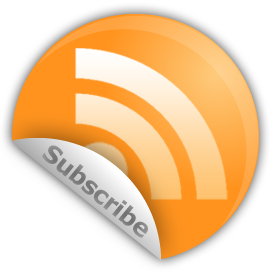 (You could read “Check line” and “Cut here” on skirts and blouses). The models walked barefoot on the ramp in slow motion, their limbs, faces and hair covered in talcum powder. 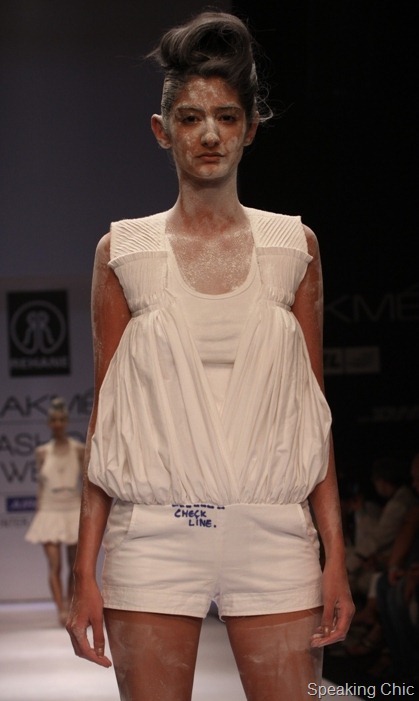 Rehane later said her collection was inspired by the purity of a woman “Meera”. But we also felt that somewhere among the purity was the woman who is lost, struggling to hold on to her innocence and on the verge of being delusional. Despite the blank colour palette, Rehane had worked meticulously on garment construction and detailing. 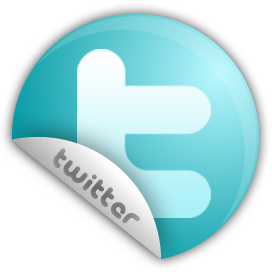 There were rouches, gathers and pleats on blouses and yokes, uneven hemlines and even cholis with cowls. 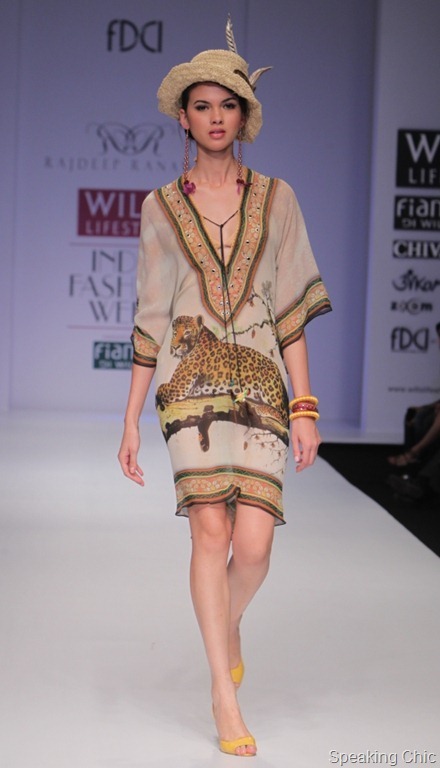 Silhouettes were mixed, as a tunic was paired with a pencil skirt and a loose cover-up had an empire line gathered body. We left the show with mixed feelings—a tinge of sadness (the mood was sombre), but happy because we had just seen a designer’s fresh take on fashion. 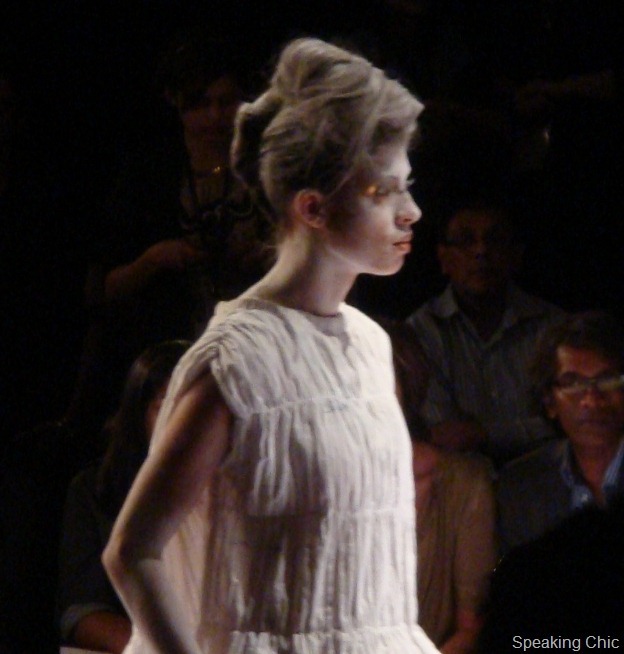 Fashion designers played with fabrics to create modern silhouettes. 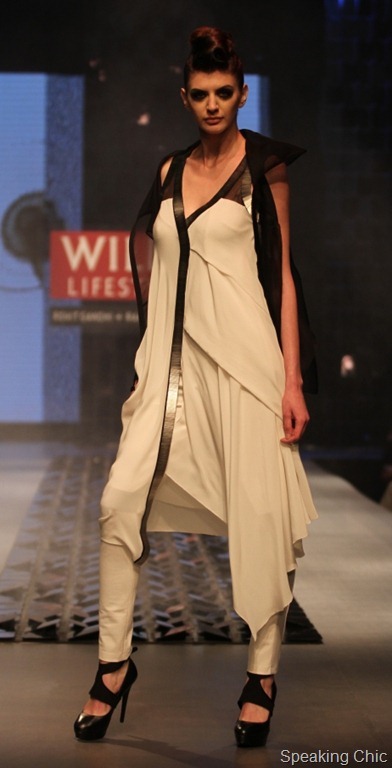 Neeru Kumar used a mix of wool, cashmere, linen, cotton and silk to shape garments that defined a woman’s curves. Urvashi Kaur draped hand-loomed fabrics and weaves like chanderi, tussar, woven silk, self patterned linen and wool jersey added an element of surprise to the garments. Also, the mix of colour and textured fabric at Akaaro was a wonderful experimentation of weaving techniques. 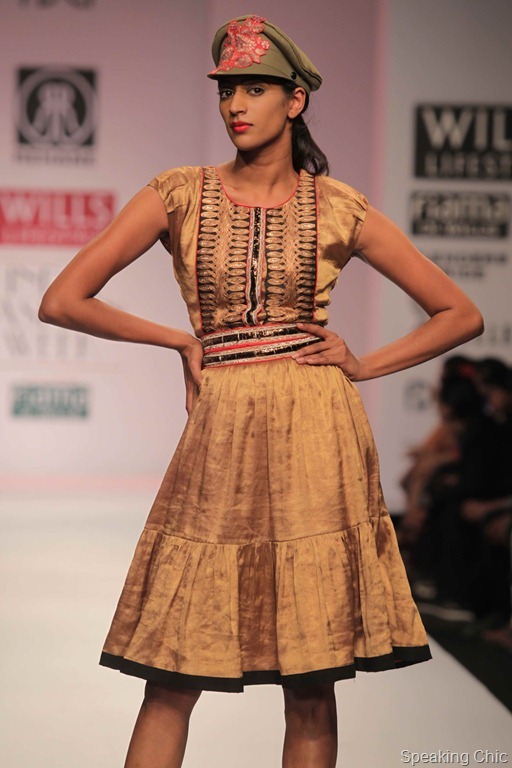 Rehane gave their collection a warm feel with yellows and oranges, while Urvashi Kaur’s colour palette varied from indigo, violet, electric blue, lime to yellow, green and red. Geisha Designs chose colours that colours symbolising the earth’s crust—mercury grey, lava red, storm violet, sea green and Atlantic grey. We saw traditions-inspired collections throughout the day, from Urvashi Kaur’s hand-loomed fabric and weaves like chanderi, tussar, woven silk and self patterned linen to Geisha Designs’ hand-crafted techniques like batik dyeing and crochet. Pankaj & Nidhi’s Woven Chemistry collection used the Japanese technique ‘sashiko no donza’, a form of intricate quilting and embroidery, along with other mat-like weaving technique creating garments that were strong, defined and textured. Even Mona-Pali’s very modern collection had a rustic charm. From soft flowy gowns and dresses at Geisha Designs to Arjun’s A-line skirts and billowy sleeves and trousers, volume ruled the ramps. At Varun Bahl, loose ribbons around waistlines, sleeves and hems added a 3-dimensional voluminous look along with scalloped skirts, clever use of asymmetry and ballooning effect on sleeves.